Mark Duggan, recently killed in a police shooting in the London suburb of Tottenham and whose death sparked a wave of street protests across Britain, Ian Tomlinson, an English newspaper vendor who was killed during G20 summit protests in London, Jean Charles de Menezes, who was shot seven times in the head after the London bombings of July 7, 2005, and David Emmanuel , a British reggae singer who was killed during a police raid on his home, all are the names included in a long list of people killed at the hands of British police forces. Independent Police Complaints Commission (IPCC), a police watchdog that deals with complaints against police has been established to investigate police’s crimes. The IPCC’s job is to make sure that complaints against the police in England and Wales are dealt with effectively, it claims. The body claims to be setting standards for the way the police handle complaints against themselves and, when something has gone wrong, it helps the police learn lessons and improve the way it works. 1- Mark Duggan, whose family said it has no trust in the IPCC. The police shooting victim’s friends and family said that they don’t feel the police watchdog is sufficiently independent. The police watchdog has admitted it may have wrongly led journalists to believe that Mark Duggan fired at officers before he was killed. The Independent Police Complaints Commission has confirmed that it may have “inadvertently” given reporters misleading information in the early stages of the investigation. It was initially reported that Duggan, 29, shot at police. But ballistic tests later found that a bullet which lodged itself in one officer’s radio was police issue. An inquest into Duggan’s death heard the father-of-four died from a single gunshot wound to the chest. 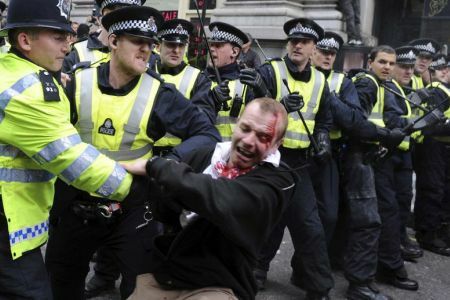 2- Ian Tomlinson was an English newspaper vendor who collapsed and died in the City of London after he was confronted with the police while on his way home from work during the 2009 G20 summit protests. A first postmortem examination indicated he had suffered a heart attack and had died of natural causes. A video footage later showed that a baton wielding police had struck him on the leg from behind and the pushed him on the ground. The video showed no provocation on Tomlinson’s part. He also was not a protester, and at the time he was struck was walking along with his hands in his pockets. The victim walked away after the incident, but collapsed and died moments later. 3- Jean Charles de Menezes was killed in the aftermath of the London bombings of July 7, 2005. He was a Brazilian man shot in the head seven times at Stockwell tube station on the London Underground by the Metropolitan Police. Police misidentified the victim as one of the fugitives involved in the previous day’s failed bombing attempts. The IPCC launched two probes into the incident, none of which brought disciplinary charges against police officers involved. 4- David Victor Emmanuel, known as Smiley Culture, was killed on March 15, 2011 during a police raid on his home. The 48-year-old was a British reggae singer and deejay known for his fast chat style. Police claimed that the victim died of a self-inflicted wound, while officers were searching his house in Warlingham, Surrey. But a post-mortem examination revealed that he had died from a single stab wound to his heart. His death triggered peaceful protests, but it was little reported. The IPCC was faced with a crisis in February 2008 after more than one hundred lawyers who had specialized in handling police complaint resigned from its advisory body. They lashed out at IPCC for its indifference towards complaints, favoritism towards police and rejecting complaints, which were strongly documented. Meanwhile, there have happened more than 400 deaths at the hands of police officers in the past ten years alone but no policeman has ever been convicted of murder or manslaughter for just one single death so far.